Golf is one of the most popular sports in the world. Although a tournament may take several days to finish, many Americans find the sport to be both exciting and relaxing. Over the last few years, the game has seen a steady increase in popularity which has also resulted in an increased interest in golf betting. Many of new fans of the wonderful sport who may be interested in learning how to bet on golf online. Thus, we’ve created this helpful guide for beginner’s who would like to know more about this sports betting option. Along with explaining how we pick the best golf betting sites, we also explain how to bet on golf, the different odds and betting options available as well as provide a list of the best tournaments to bet on. These are the best golf betting sites in America. They are guaranteed to offer you all the most popular wagering options. Be sure to give one a go the next time you want to place a golf bet. When looking for the best golf gambling sites online, we focus on the following factors. Ultimately, these are the factors that every potential bettor should focus on when looking for a new betting site. Safety/Trustworthiness – determining whether a site is safe to use needs to be everyone’s number one priority when betting online. We only ever recommend sites that have got a good public track record of being trustworthy and these are the only sorts of sites you should ever use. Betting Options – most bettors don’t just want to bet on who may win a particular tournament. Many want to have the option to bet on things like the number of holes in one a tournament may see, among other related bets. If you’re interested in unique wagers such as this, you need to sign up at a casino that allows players to make them. Website Design –some online betting platforms look like one needs to have a Master’s degree in computing in order to understand how the site works. So, we pick sports betting sites that are easy to use and allow gamblers the best they would like to make without a problem. Bonuses – we try to recommend sites that offer worthwhile bonus programs and don’t pretend to give you free cash just to entice you to sign up. Bonuses is the aspect of an online betting site that Americans should only have a look at after they have determined that that the sportsbook already offers everything else they need. The most well-known golf betting option is simply placing a wager on who you believe will win the tournament. Odd are calculated on the form of the player and how long he or she has been playing professionally. Propositional Bets – a bet based on a specific attribute of the player. For example, placing a bet stating that Tiger Woods will score a hole in one. Nationality Bet – bets which suggest players of a particular nationality will win the tournament. Odds are calculated on the basis of which country has the most top-ranked players. Match Bets – in these bets, the bettor attempts to predict who will shoot the lowest score amongst a select group of players. 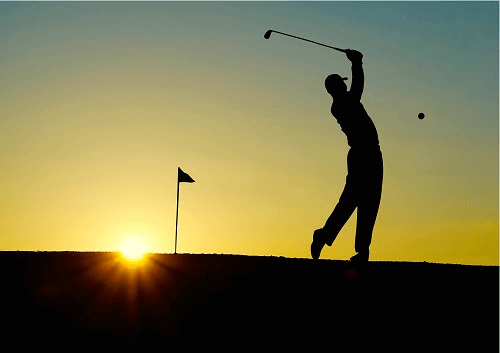 PGA Championship – as one of the biggest events on the golfing calendar each year, the PGA Championship has draws in millions of viewers each year. Some of these viewers even love placing a good wager on the unscripted action. Ryder Cup – a wonderful team-based event which sees US players go up against European players. It is only played every two years. It is definitely one of the highlights of the golf calendar. Masters – if there is one thing the city of Augusta, Georgia is famous for, it is for hosting the Masters. The best of the best go up against one another to determine who is truly the sport’s greatest player. It is important to note that these are not the only available golf betting options available in the USA. They are just some of the most popular.